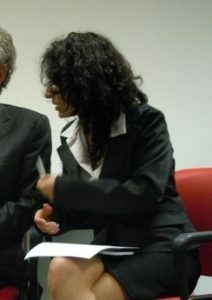 The professionalism of our interpreters guarantees clear and effective communication with foreign clients. Our consultancy serves to identify the most suitable type of service, according to the characteristics of the event and venue. This is the best solution for conferences and educational seminars that have a fixed time-frame. It is preferable for international conferences with guests and speakers from different countries. The only feasible solution is for each speaker to be translated simultaneously in the different languages required. 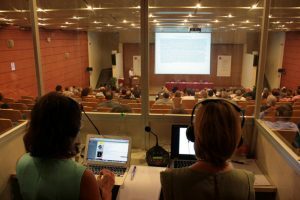 Compared to consecutive interpreting, simultaneous interpreting saves time as the interpreters translate in real time, from and into the working language. The interpreters work in a special soundproof booth equipped with a conference audio system. Our collaboration with specialist partners, consolidated over time, allows us to provide audio systems for simultaneous interpreting, offering all the necessary technical assistance, including audio and video recording of speakers. There is also an alternative to simultaneous booth interpreting: the use of a bidule system. The bidule device is similar to that used for museum audio tours, with a microphone for the translator and a headset for the listeners. It considerably lowers costs but also reduces sound quality and is not practical for large groups. Interpreters work in pairs with this system too. It is suitable for group tours, such as factory visits. This is a valid alternative to simultaneous interpreting at conferences that have a less rigid time-frame. It is also the preferred option for work meetings, interviews and small groups. While the speaker talks, the interpreter takes notes and renders what has been said in the target language when the speaker has finished part, or all, of the speech (usually about every ten minutes). This process requires twice as much time for each speech. This is a simultaneous translation whispered into the listener’s ear. The interpreter uses neither a microphone nor a headset. This form of interpreting is best suited to no more than three people and requires a stricter working environment, for example as regards noise levels, than simultaneous or consecutive interpreting. The interpreter stays by the client’s side whilst travelling, during business meetings or exhibitions/fairs, in Italy and abroad. He/she translates questions and answers and facilitates communication between people that speak different languages. 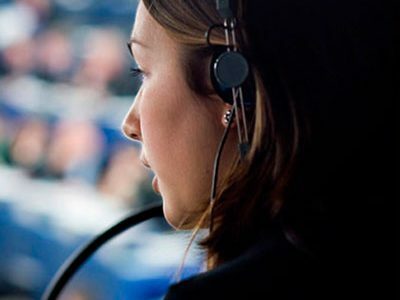 To ensure our interpreting services meet all current needs, we offer an interpreting service via Skype for long-distance negotiations with foreign partners. You choose the most suitable time and place for your virtual meeting, sparing much time as well as travel expenses. 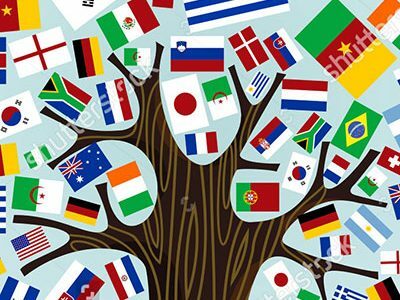 Thanks to a well-established network of professional interpreters, our working languages not only include the most commonly required European languages (English, French, Spanish, German, Portuguese) but other European languages (e.g. 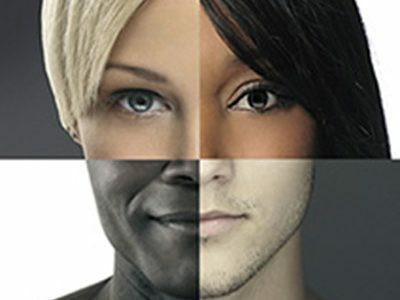 Russian, Romanian, Turkish) and those used in the Far East (e.g. Arabic, Chinese, Japanese). For people who are hearing-impaired, we offer sign language interpreting with professionally certified interpreters, who can translate from Italian into sign language and vice versa during courses and seminars. If you need to organise a conference, seminar or other business event, we can offer complete support, creating a personalised solution to ensure you obtain optimum results.